What updates have been made to my library’s digital collection recently? OverDrive is always working to improve your digital library experience, which sometimes includes adding or changing features. Learn more about recent changes below. Note: Formats, titles, and features vary by library, so some of these changes may not apply to your library’s digital collection. You now have a Rated titles page (under ) so you can easily see and keep track of your rated titles. You can now sort titles on your Holds and Wish list pages, as well as your new Rated titles page. Borrowed read-alongs are now easy to see on your Loans page. 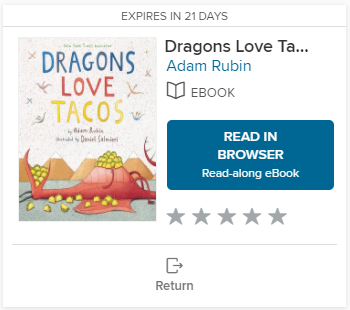 When you borrow one, you’ll see “Read-along eBook” on the Read in browserbutton.